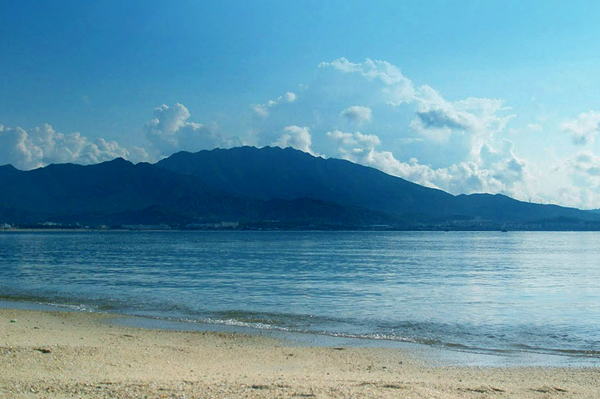 Hobie Cat® Worldwide and the International Hobie Class Association are pleased to announce that the 21st Hobie 16 World Championships will take place in 2016, at the idyllic location of Dapeng, Longgang, which is set among the scenic mountains of the Dapeng District of Shenzhen in southern China. The area boasts a comfortable climate all year and is conveniently situated just 90 km (90 minutes) from Shenzhen Bao’an International Airport and just a few hours by road from the thriving metropolis and gateway to the orient, magnificent Hong Kong. The region boasts a mix of ancient and modern, of beauty and serenity, entrenched environmental awareness, progressive infrastructure, wonderful scenery, awe inspiring attractions and a local population who are happy, friendly and welcoming. The official world championship resort is modern and luxurious. Sailors and their entourage will enjoy all of the benefits this exclusive, sophisticated 5 star Regatta Resort has to offer. Luxury suites, magnificent swimming pool, children’s play areas, tennis, squash, gymnasium, bars western and Chinese cuisine restaurants, all of this and much more at an unbelievably modest tariff. The world championships will be fought on sailing courses that are surrounded by granite covered hills and the impressive Mount Qiniang which climbs above the regatta venue and its white, sandy beaches. The beauty of the magnificent bay further highlights the exceptional sailing conditions the waters surrounding the Dapeng Peninsula has to offer the world’s best Hobie 16 sailors. It’s your time once again to unleash your competitive streak and indulge yourself in some truly world class sailing; to once again meet up with your Hobie friends from worlds apart; and to again soak up the Hobie Way of Life, the spirit, comradery and superb atmosphere of the 21st Hobie 16 World Championships. See you in China in 2016.